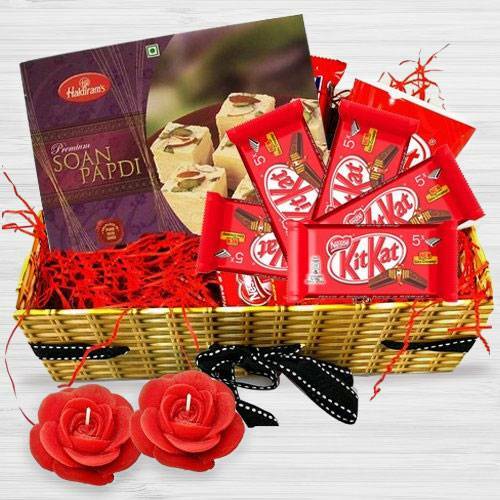 Let others feel special with this Entertaining Happiness All Around Diwali Gift Hamper on special days of celebrations. This one of its kind Gift Basket for Diwali comes with many exciting products like Two Pc. Candles, a Box of sumptuous Haldirams Soan Papdi (200 gram) and Five pc. Nestle Kitkat.